Orange County Fire Rescue Firefighter EMT Ryan Allen was awarded with the State EMS Award, Emergency Medical Technician (EMT) of the Year on July 13. The Florida Department of Health selected Allen for his brave performance during a critical care incident that occurred in November 2015. The State EMS Award is presented to an EMT who has demonstrated extraordinary qualities in patient care and medical control as well as someone who has performed above and beyond the call of duty. Allen was awarded with the Medal of Valor by Orange County Fire Rescue and Orange County Sheriff’s Office earlier this year. 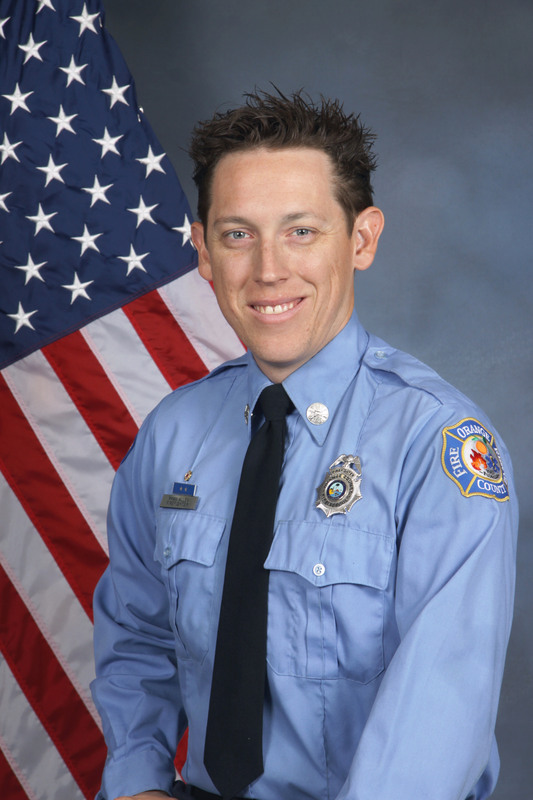 He was also named the 2015 Firefighter of the Year by the American Legion. Without an established air supply, Allen dove underwater in an attempt to locate the patient. Allen identified an air pocket and gasped for one last breath as he dove down into the submerged portion of the car. He rescued the trapped patient by removing the seatbelt and swam the patient to shore. His efforts enabled first responders to restore the patient’s vitals on the way to the hospital. The 26 Annual Excellence in EMS Awards ceremony was held on July 13 at the DoubleTree by Hilton near Universal Studios.